Fringes as a band is a blend of both young and old. It is young in the sense that the members have come together under the banner recently in the winter of 2010. 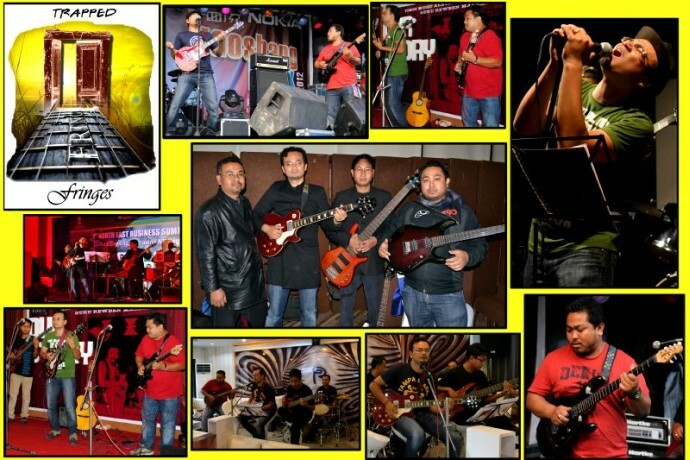 Old in a way, as the members have known, shared, learned and grew up jamming and performing together in studios and concerts in Imphal. The name of the band denotes the predicament of existence at the margins and yet rooted to the core of an evolution. The band believes that art is an offshoot of the living reality and not created in vacuum. The birthplace of the band, Manipur, lies in the continuum of two civilization i.e. Sinic and Indic civilization. They belong to a milieu where many cultural imprints could be found. With colonialism, came the western influence of music, which penetrated into diverse cultural way of life. Fringes band members also grew up exposed to this environment. They opted western music in its form and infuses it's content with the organic reality of contemporary Manipur. Few months back Fringes performed in the North East Business Summit held at La Meridien New Delhi. 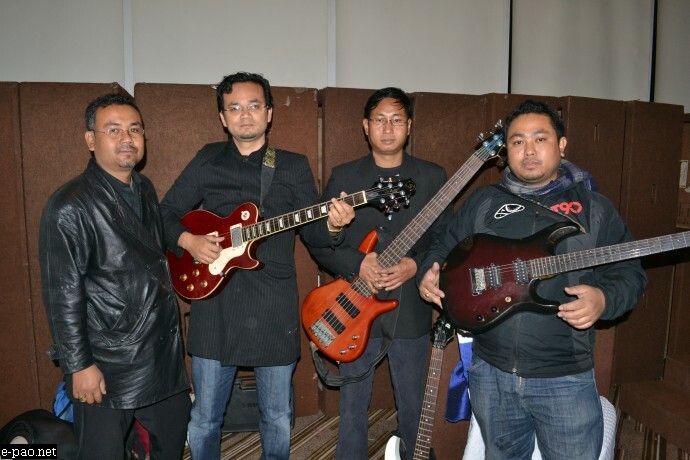 In Imphal, the most notable/recent concert is Yaosang Rock at the Yaiskul Range (April 2012) where popular Delhi based band Parikrama also performed. Even as the band is heavily influenced by blues, it believes in exploring and experimenting with various moods and variations across musical genres. From the angst of a youth bogged down by poverty and unemployment to the tragedy of a people living in the shadow of violence, "Trapped" articulates the idea of being caught in a quagmire. While it laments, questions and rages against the helplessness of the people, it also underlines and believes in the possibility of change and survival. "Freedom" and "Land of the Free", for instance, explore different forms of freedom in Manipur. While one is liberating and regenerative, the other indicates the anarchic forces of those who have all the freedom that money and power can guarantee. In a society where "life for life is the rule" and gun make the people "stand and understand", the band finds a voice in and through music. Even as the band is heavily influenced by blues, it believes in exploring and experimenting with various moods and variations across musical genres. 'Trapped' could be treated as a disposition highlighting a situation where society is highly polarized and disillusionment is at large. Amidst this milieu, Fringes is on a musical journey; a quest, which perhaps could be unending. This album is dedicated to late Dr. Thingnam Kishan Singh and Late Pramod kumar Thoidingjam. The two departed souls in one way or the other have influenced the band members in provoking a 'critical enquiry' and provide a window to look for an alternative vista. 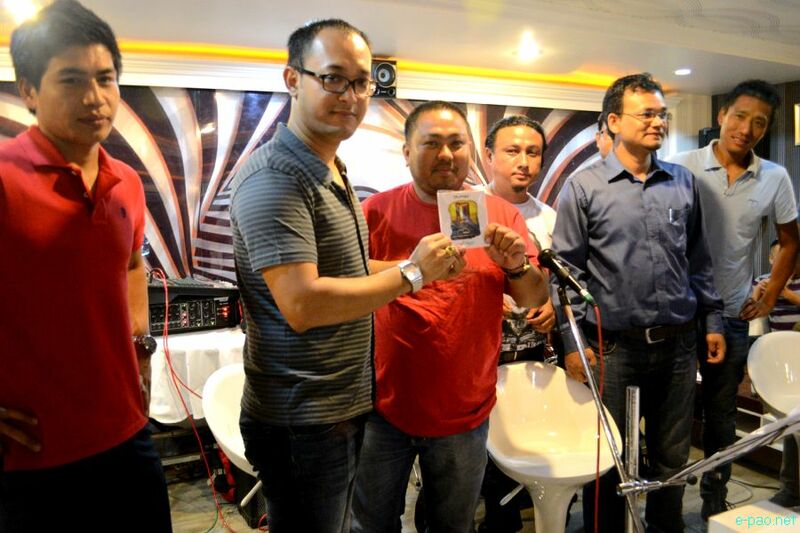 Fringes released its first album 'Trappe' at Rita Caf�, Imphal on 8th July 2012. The release function was a simple yet engaging one where requests were made and the band along with other musicians present at the Cafe fulfilled. RK Imo, MLA Sagolband A/C, came down with eminent footballers of the State Rennedy, Gauramani and Chittaranjan to release the musical album with encouraging words to �keep rocking� to the band members of Fringes and to producers and event organisors Oriental Pumpkin. JK: How it started and tell us the journey with specific feats in the State. Tell us how 'Trapped' happened to you? RK James (Record Producer - Oriental Pumpkin) - Oriental Pumpkin was conceived in Mumbai in 2003 and we used to manage DJ and Clubbing. 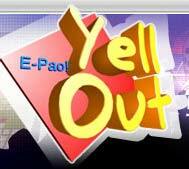 In Imphal, it started in the year 2005 to manage special events and promote rock concerts and Music. After promoting many small gigs and even big concerts, now, Oriental Pumpkin is promoting the grass root music - like blues, folks and classic rock - and have been working with certain musicians and bands in putting up small gigs for 200 people now and then. With this idea, now, Oriental Pumpkin has started Oriental Pumpkin Records to produce - to promote - to market artistes / bands managed by Oriental Pumpkin Records. This is how FRINGES and debut album 'Trapped' happened. JK: What is music to you? Sanjeev (Fringes Guitar) - Music to me... technically speaking: sound in time. Music finds me possibility of hope and I can explore immense freedom. Blues association... exposed to blues in the year 1994 with the winter blues genre, co-incidentally I met my school mate who is now no more. Both of us shared the dream of exploring freedom in music. And in the year 1997 we recorded four tracks and two of the tracks we recorded again in this album. JK: What is music to you and tell me something about 'trapped' to be released today. Haraba (Fringes Vocalist) - Music to me is some kind of a release and when I'm performing i feel like I'm free from all the hardship that life has to offer. It makes me what I have always wanted to be. Cell: +91 - 9650 979 368. This artist's sub-site was first updated on July 15 2012. Band profile and informations by James Khangenbam with inputs from Fringes members.